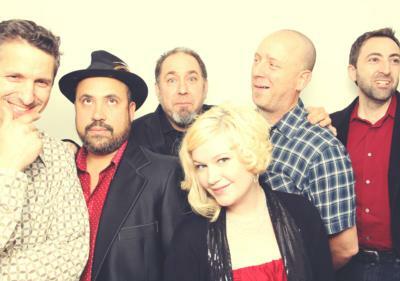 First and foremost a "Party Band", The Swingin' Swamis compliment any occasion. 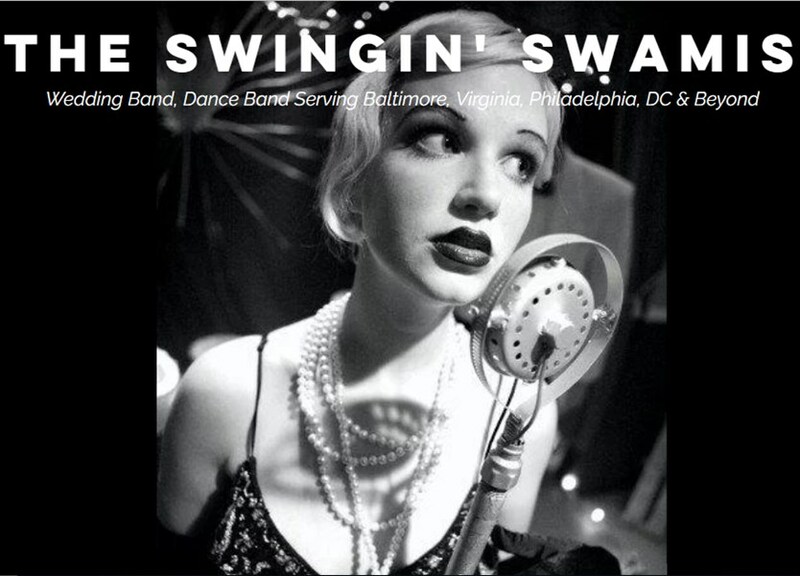 Whether you are entertaining guests at an intimate cocktail party or looking for a high energy dance band, The Swingin' Swamis have the music and veteran showmanship to satisfy your needs. Their songbook is vast, with styles ranging from R&B, Soul, Rock-N-Roll to Contemporary Pop, Jazz, Latin and World Rhythms.There is no better band for your event. Since 1997, The Swingin' Swamis have provided the music for hundreds of corporate and private functions, weddings, music and arts festivals, restaurants and night clubs. Noteworthy performances include: The Kennedy Center, MusikFest 2005, Artscape 2004 & 2005, The Ram's Head Live (opening for The B-52's), The Baltimore Museum of Art, and The Maryland Film Festival. Voted The Knot Best of Weddings 2010 !!! The Swingin' Swamis have provided the soundtrack for over a hundred weddings. Let us know which option you are most interested in or we can provide rates for all of the above. When we provide a PA system, the wedding party, family and friends are welcome to use our PA system for toasts and announcements. Our PA system includes a iPod player. If you need an MC for your wedding reception, the band's leader (Snackie) is available to MC and introduce the wedding party. Our rates include loading in to the venue one hour prior to our contracted start. We load-out immediately at the completion of our performance. For booking & rates, please contact Snackie. Please note The Swingin' Swamis will also travel to Glen Burnie, Linthicum Heights, Riderwood, Towson, Brooklandville, Elkridge, Hanover, Chase, Ellicott City, Fort Howard, Garrison, Harmans, Lutherville Timonium, Stevenson, Glen Arm, Pasadena, Perry Hall, Randallstown, Severn, Cockeysville Hunt Valley, Columbia, Long Green, White Marsh, Fort George G Meade, Jessup, Millersville, Owings Mills, Woodstock, Annapolis Junction, Phoenix.